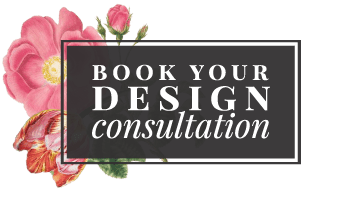 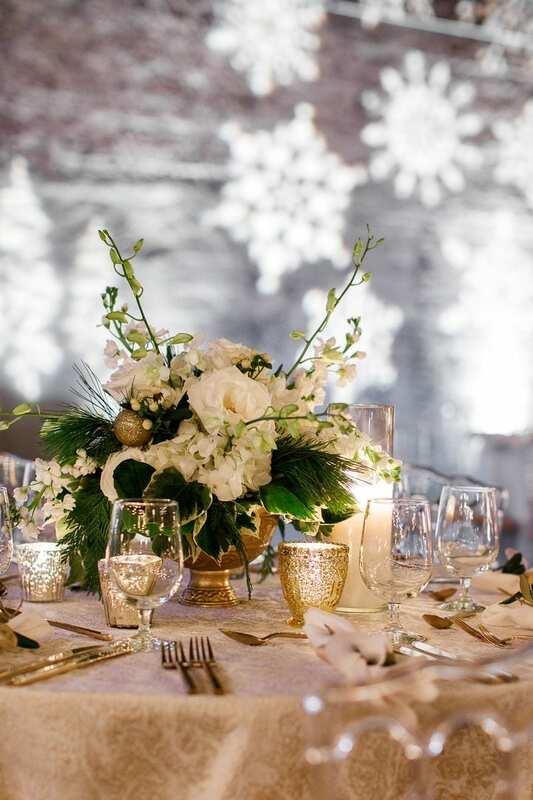 Grab inspiration from this garden winter wonderland, with flowers by Enchanted Florist designed for a corporate holiday party with Randi Events. 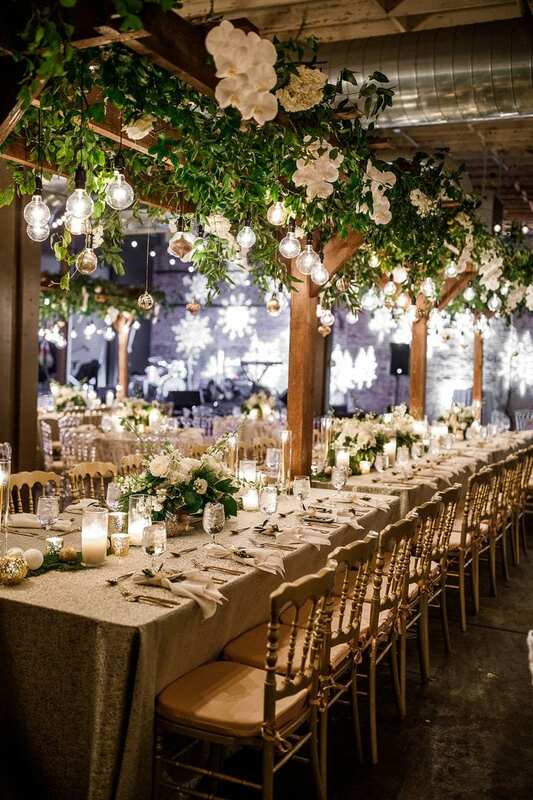 We loved partnering with Randi Events for their client’s annual holiday party at The Oak Room in Nashville – it was a true garden winter wonderland! 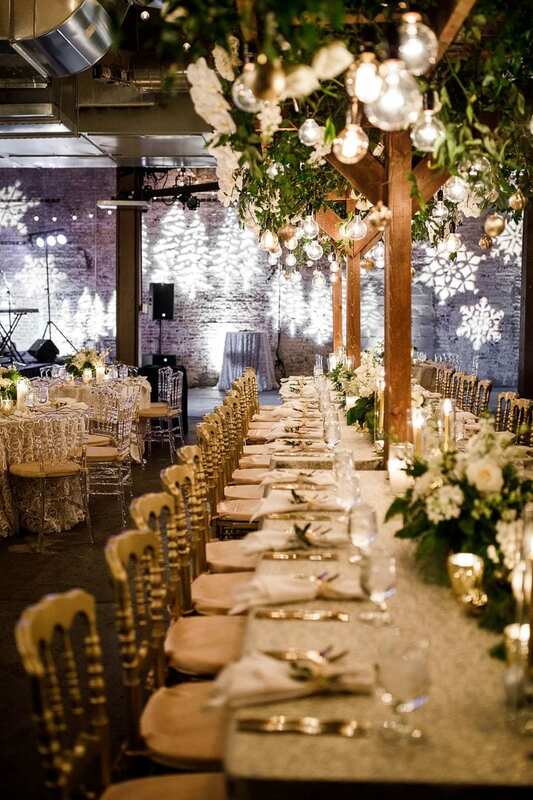 Every single detail, down to the snowflakes on the wall, were planned perfectly. 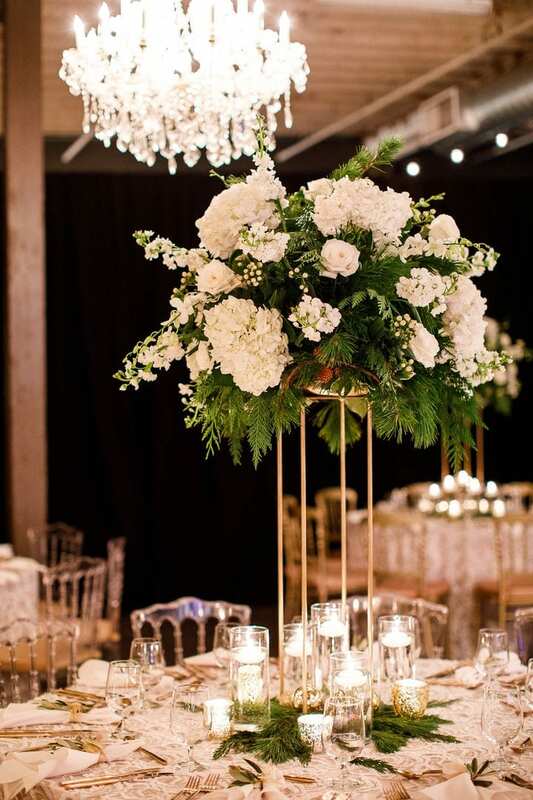 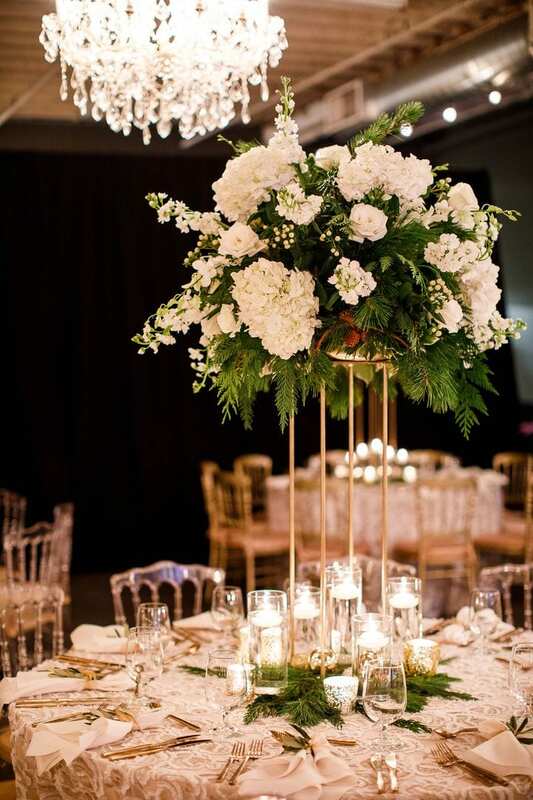 White hydrangeas accented with greenery and white stock in golden containers made the perfect holiday centerpieces. 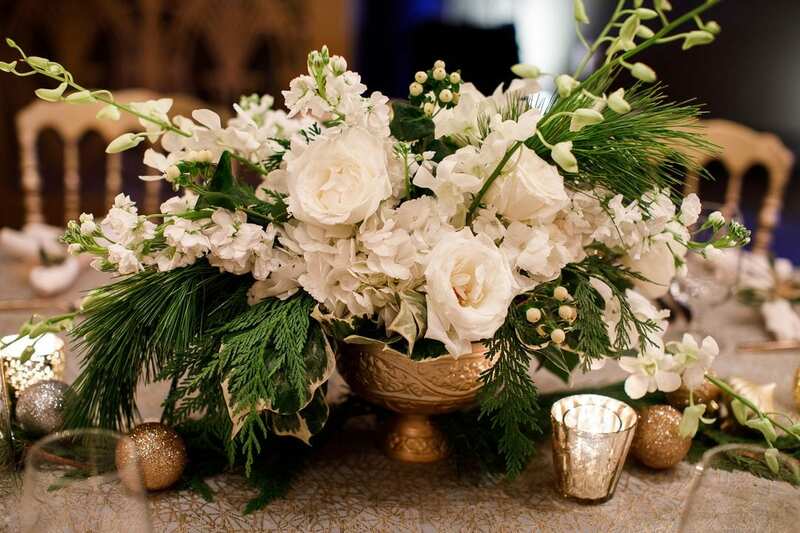 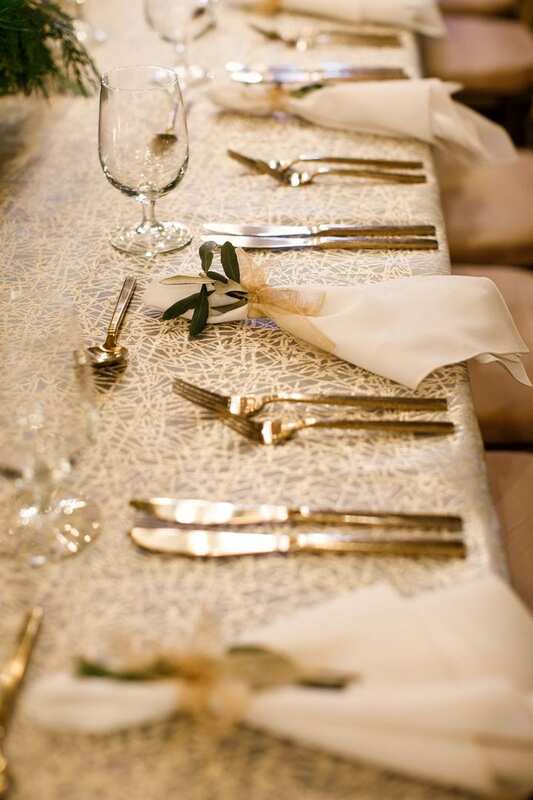 Ornaments and mercury votives surrounded these beautiful arrangements while gold flatware, cream napkins and varied metallic linens completed the guest table look. 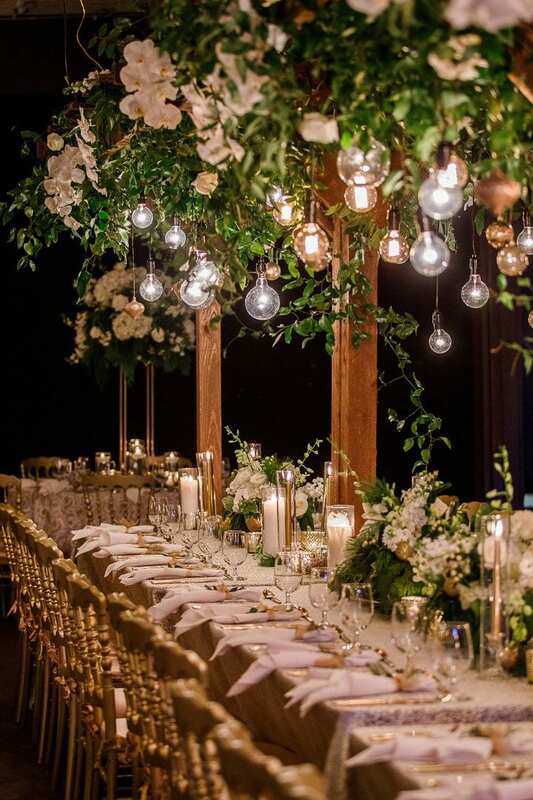 The real show stopper was the overhead greenery installation, accented with white orchids & Edison bulbs. 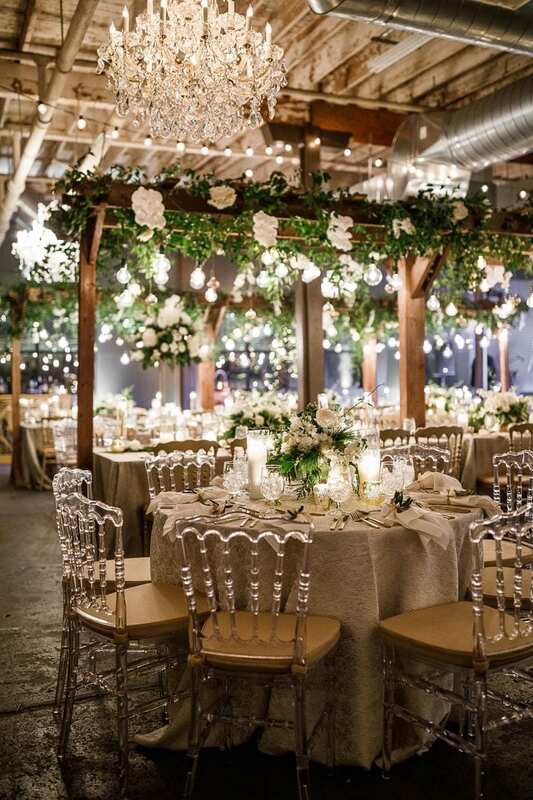 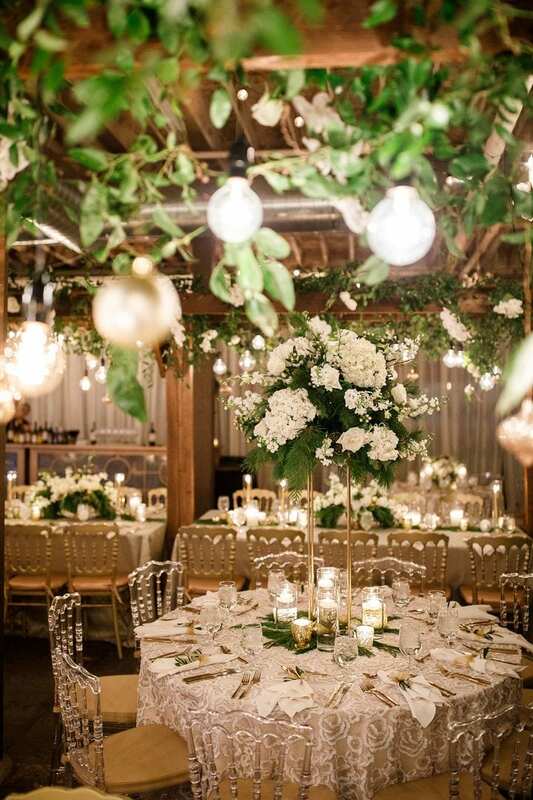 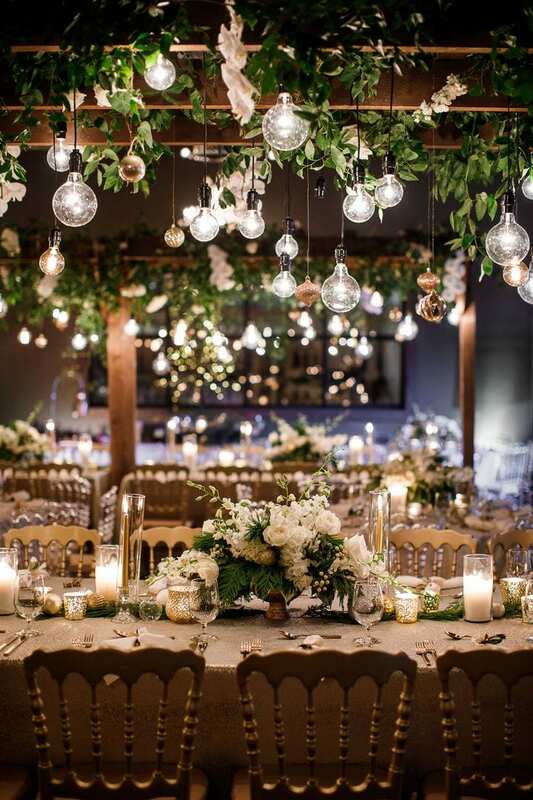 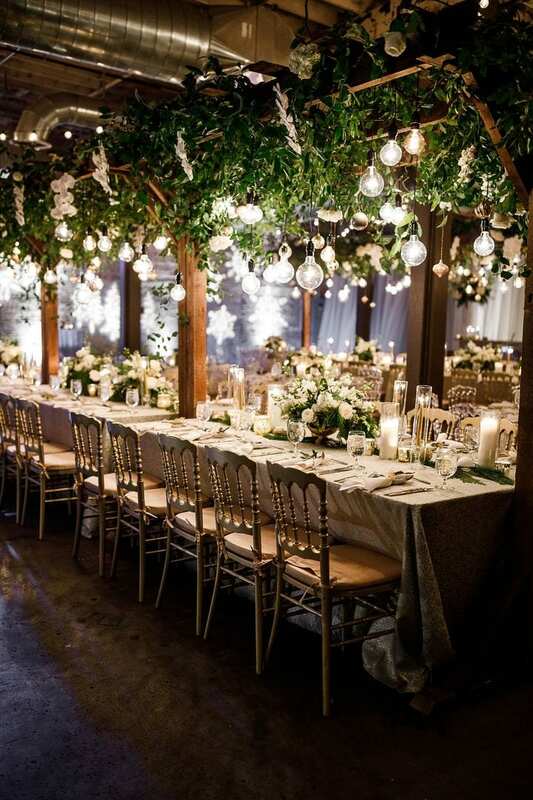 Mirroring a trellis effect of a secret garden, the event design was the perfect mix of dreamy winter feels and garden vibes! 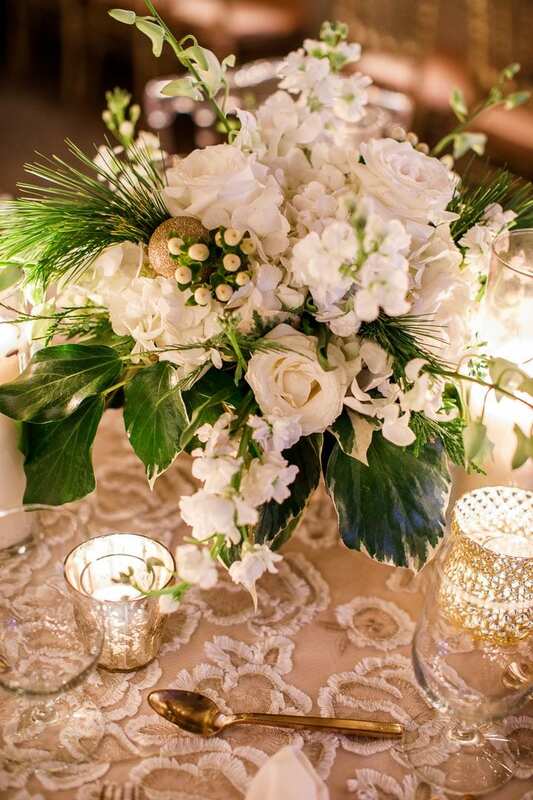 Thanks for capturing this gorgeous event, Courtney Davidson Photography. 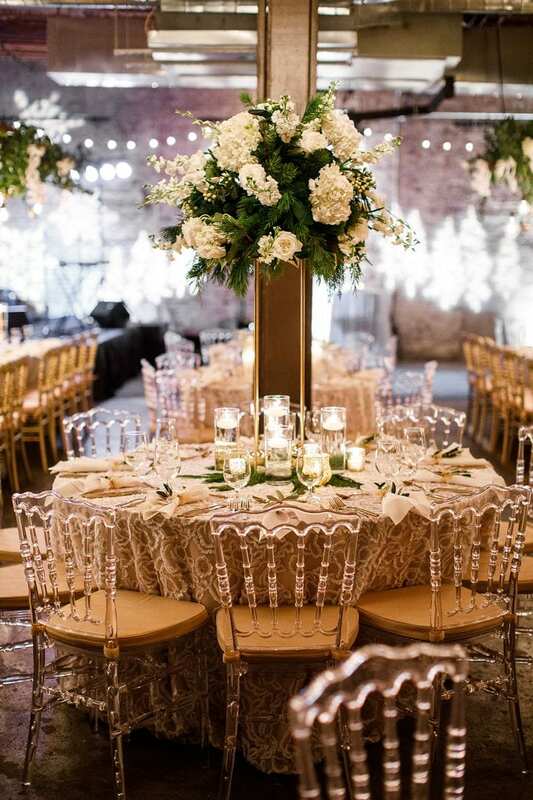 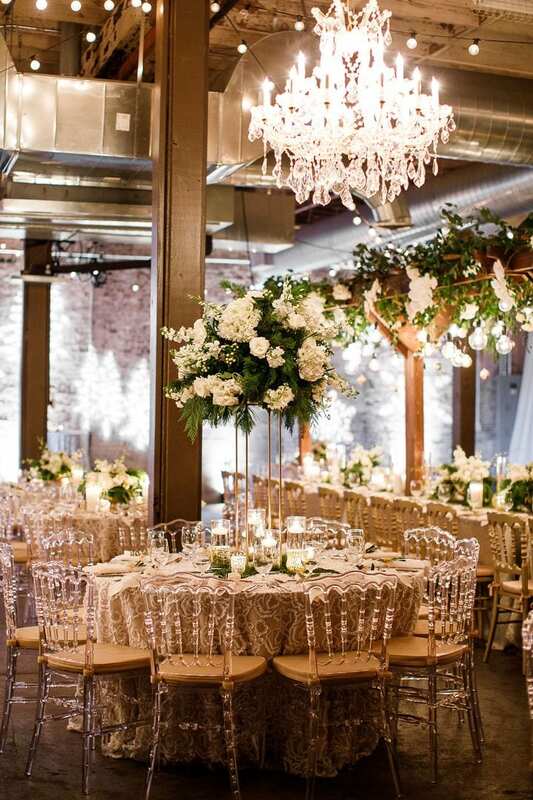 Get more luxe floral inspiration by checking out this tasting event and this chic wedding.